For the 2007 film, see May 18 (film). May 18 is the 138th day of the year(139th in leap years) in the Gregorian calendar.There are 227 days remaining until the end of the year. 332 – Constantine the Great announced free distributions of food to the citizens in Constantinople. 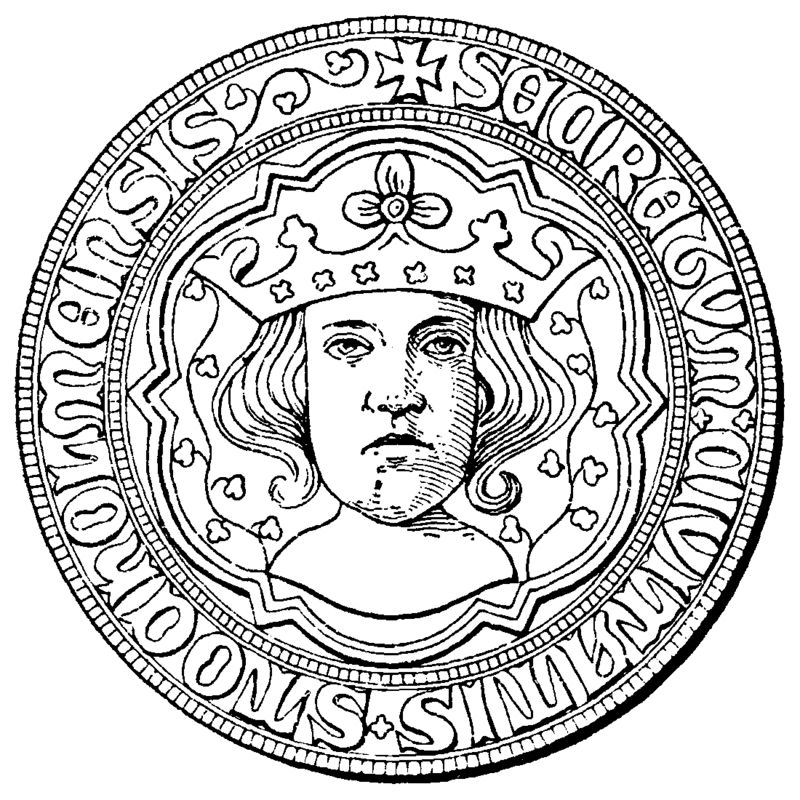 872 – Louis II of Italy is crowned for the second time as Roman Emperor at Rome, at the age of 47. His first coronation was 28 years earlier, in 844, during the reign of his father Lothair I. 1096 – First Crusade: Around 800 Jews are massacred in Worms, Germany. 1152 – The future Henry II of England marries Eleanor of Aquitaine. He would become king 2 years later, after the death of his cousin once removed King Stephen of England. 1268 – The Principality of Antioch, a crusader state, falls to the Mamluk Sultan Baibars in the Siege of Antioch. 1291 – Fall of Acre, the end of Crusader presence in the Holy Land. 1302 – Bruges Matins, the nocturnal massacre of the French garrison in Bruges by members of the local Flemish militia. 1388 – During the Battle of Buyur Lake, General Lan Yu leads a Chinese army forward to crush the Mongol hordes of Tögüs Temür, the Khan of Northern Yuan. 1499 – Alonso de Ojeda sets sail from Cádiz on his voyage to what is now Venezuela. 1565 – The Great Siege of Malta begins, in which Ottoman forces attempt and fail to conquer Malta. 1593 – Playwright Thomas Kyd's accusations of heresy lead to an arrest warrant for Christopher Marlowe. 1631 – In Dorchester, Massachusetts, John Winthrop takes the oath of office and becomes the first Governor of Massachusetts. 1652 – Rhode Island passes the first law in English-speaking North America making slavery illegal. 1756 – The Seven Years' War begins when Great Britain declares war on France. 1783 – First United Empire Loyalists reach Parrtown (later called Saint John, New Brunswick), Canada, after leaving the United States. 1794 – Battle of Tourcoing during the Flanders Campaign of the War of the First Coalition. 1803 – Napoleonic Wars: The United Kingdom revokes the Treaty of Amiens and declares war on France. 1804 – Napoleon Bonaparte is proclaimed Emperor of the French by the French Senate. 1811 – Battle of Las Piedras: The first great military triumph of the revolution of the Río de la Plata in Uruguay led by José Artigas. 1812 – John Bellingham is found guilty and sentenced to death by hanging for the assassination of British Prime Minister Spencer Perceval. 1843 – The Disruption in Edinburgh of the Free Church of Scotland from the Church of Scotland. 1848 – Opening of the first German National Assembly (Nationalversammlung) in Frankfurt, Germany. 1860 – Abraham Lincoln wins the Republican Party presidential nomination over William H. Seward, who later becomes the United States Secretary of State. 1863 – American Civil War: The Siege of Vicksburg begins. 1896 – The United States Supreme Court rules in Plessy v. Ferguson that the "separate but equal" doctrine is constitutional. 1896 – Khodynka Tragedy: A mass panic on Khodynka Field in Moscow during the festivities of the coronation of Russian Tsar Nicholas II results in the deaths of 1,389 people. 1900 – The United Kingdom proclaims a protectorate over Tonga. 1912 – The first Indian film, Shree Pundalik by Dadasaheb Torne, is released in Mumbai. 1917 – World War I: The Selective Service Act of 1917 is passed, giving the President of the United States the power of conscription. 1926 – Evangelist Aimee Semple McPherson disappears in Venice, California. 1927 – The Bath School disaster: Forty-five people, including many children, are killed by bombs planted by a disgruntled school-board member in Michigan. 1927 – After being founded for 20 years, the Government of the Republic of China approves Tongji University to be among the first national universities of the Republic of China. 1933 – New Deal: President Franklin D. Roosevelt signs an act creating the Tennessee Valley Authority. 1944 – World War II: Battle of Monte Cassino: Conclusion after seven days of the fourth battle as German paratroopers evacuate Monte Cassino. 1944 – Deportation of Crimean Tatars by the Soviet Union government. 1948 – The First Legislative Yuan of the Republic of China officially convenes in Nanking. 1953 – Jackie Cochran becomes the first woman to break the sound barrier. 1955 – Operation Passage to Freedom, the evacuation of 310,000 Vietnamese civilians, soldiers and non-Vietnamese members of the French Army from communist North Vietnam to South Vietnam following the end of the First Indochina War, ends. 1965 – Israeli spy Eli Cohen is hanged in Damascus, Syria. 1969 – Apollo program: Apollo 10 is launched. 1974 – Nuclear weapons testing: Under project Smiling Buddha, India successfully detonates its first nuclear weapon becoming the sixth nation to do so. 1980 – Mount St. Helens erupts in Washington, United States, killing 57 people and causing $3 billion in damage. 1980 – Students in Gwangju, South Korea begin demonstrations calling for democratic reforms. 1990 – In France, a modified TGV train achieves a new rail world speed record of 515.3 km/h (320.2 mph). 1991 – Northern Somalia declares independence from the rest of Somalia as the Republic of Somaliland but is not recognized by the international community. 1993 – Riots in Nørrebro, Copenhagen, caused by the approval of the four Danish exceptions in the Maastricht Treaty referendum. Police open fire against civilians for the first time since World War II and injure 11 demonstrators. 1994 – Israeli troops finish retreating from the Gaza Strip after occupying it, giving the area to the Palestinians to govern. 2005 – A second photo from the Hubble Space Telescope confirms that Pluto has two additional moons, Nix and Hydra. 2006 – The post Loktantra Andolan government passes a landmark bill curtailing the power of the monarchy and making Nepal a secular country. 2009 – The LTTE are defeated by the Sri Lankan government, ending almost 26 years of fighting between the two sides. 2015 – At least 78 people die in a landslide caused by heavy rains in the Colombian town of Salgar. Year 332 (CCCXXXII) was a leap year starting on Saturday of the Julian calendar. At the time, it was known as the Year of the Consulship of Pacatianus and Hilarianus. The denomination 332 for this year has been used since the early medieval period, when the Anno Domini calendar era became the prevalent method in Europe for naming years. Constantine the Great, also known as Constantine I, was a Roman Emperor who ruled between 306 and 337 AD. Born in Naissus, in Dacia Ripensis, town now known as Niš, he was the son of Flavius Valerius Constantius, a Roman Army officer. His mother was Empress Helena. His father became Caesar, the deputy emperor in the west, in 293 AD. Constantine was sent east, where he rose through the ranks to become a military tribune under Emperors Diocletian and Galerius. In 305, Constantius was raised to the rank of Augustus, senior western emperor, and Constantine was recalled west to campaign under his father in Britannia (Britain). Constantine was acclaimed as emperor by the army at Eboracum after his father's death in 306 AD. He emerged victorious in a series of civil wars against Emperors Maxentius and Licinius to become sole ruler of both west and east by 324 AD. 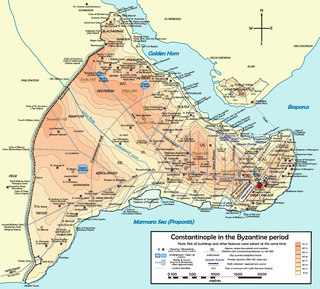 Constantinople was the capital city of the Roman Empire (330–395), of the Byzantine Empire, and also of the brief Crusader state known as the Latin Empire (1204–1261), until finally falling to the Ottoman Empire (1453–1923). It was reinaugurated in 324 from ancient Byzantium as the new capital of the Roman Empire by Emperor Constantine the Great, after whom it was named, and dedicated on 11 May 330. The city was located in what is now the European side and the core of modern Istanbul. Year 1048 (MXLVIII) was a leap year starting on Friday of the Julian calendar. Year 1186 (MCLXXXVI) was a common year starting on Wednesday of the Julian calendar. Konstantin Vsevolodovich was the eldest son of Vsevolod the Big Nest and Maria Shvarnovna. Reid Turner Blackburn was an American photographer killed in the 1980 volcanic eruption of Mount St. Helens. A photojournalist covering the eruption for a local newspaper—the Vancouver, Washington Columbian—as well as National Geographic magazine and the United States Geological Survey, he was caught at Coldwater Camp in the blast. 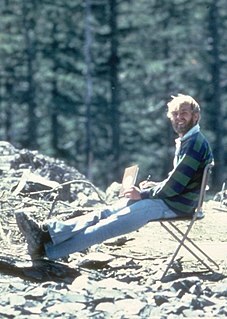 David Alexander Johnston was an American United States Geological Survey (USGS) volcanologist who was killed by the 1980 eruption of Mount St. Helens in Washington. A principal scientist on the USGS monitoring team, Johnston was killed in the eruption while manning an observation post six miles (10 km) away on the morning of May 18, 1980. He was the first to report the eruption, transmitting "Vancouver! Vancouver! This is it!" before he was swept away by a lateral blast. Despite a thorough search, Johnston's body was never found, but state highway workers discovered remnants of his USGS trailer in 1993. Year 526 (DXXVI) was a common year starting on Thursday of the Julian calendar. At the time, it was known as the Year of the Consulship of Olybrius without colleague. The denomination 526 for this year has been used since the early medieval period, when the Anno Domini calendar era became the prevalent method in Europe for naming years. Pope John I was Pope from 13 August 523 to his death in 526. He was a native of Siena, in Italy. He was sent on a diplomatic mission to Constantinople by the Ostrogoth King Theoderic to negotiate better treatment for Arians. Although relatively successful, upon his return to Ravenna, Theoderic had the Pope imprisoned for allegedly conspiring with Constantinople. The frail pope died of neglect and ill-treatment. Year 893 (DCCCXCIII) was a common year starting on Monday of the Julian calendar. Saint Ælfgifu of Shaftesbury, also known as Saint Elgiva was the first wife of Edmund I, by whom she bore two future kings, Eadwig and Edgar. Like her mother Wynflaed, she had a close and special if unknown connection with the royal nunnery of Shaftesbury (Dorset), founded by King Alfred, where she was buried and soon revered as a saint. According to a pre-Conquest tradition from Winchester, her feast day is 18 May. Eric IX,, also called Eric the Holy, Saint Eric, Eric the Lawgiver, was a Swedish king c. 1156-60. The Roman Martyrology of the Catholic Church names him as a saint memorialized on 18 May. He is the founder of the House of Eric which ruled Sweden with interruptions from c. 1156 to 1250. Felix of Cantalice, O.F.M. Cap., was born on 18 May 1515 to peasant parents in Cantalice, Italy, in the central Italian region of Lazio. Canonized by Pope Clement XI in 1712, he was the first Capuchin friar to be named a saint. August 1 is the 213th day of the year in the Gregorian calendar. 152 days remain until the end of the year. August 10 is the 222nd day of the year in the Gregorian calendar. 143 days remain until the end of the year. March 5 is the 64th day of the year in the Gregorian calendar. 301 days remain until the end of the year. October 24 is the 297th day of the year in the Gregorian calendar. 68 days remain until the end of the year. October 6 is the 279th day of the year in the Gregorian calendar. 86 days remain until the end of the year. October 8 is the 281st day of the year in the Gregorian calendar. 84 days remain until the end of the year. October 23 is the 296th day of the year in the Gregorian calendar. 69 days remain until the end of the year. September 6 is the 249th day of the year in the Gregorian calendar. 116 days remain until the end of the year. September 12 is the 255th day of the year in the Gregorian calendar. 110 days remain until the end of the year. Wikimedia Commons has media related to May 18 .